No longer wanting to carry the Superman monicker, Dwight Howard prefers Dwyane Wade’s old nickname, The Flash. That’s why he commissioned a custom Flash-themed makeover for his 2015 Dodge Challenger SRT Hellcat. 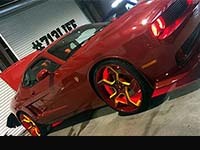 The project was undertaken by Houston’s own 713 Motoring and cost $65 000. 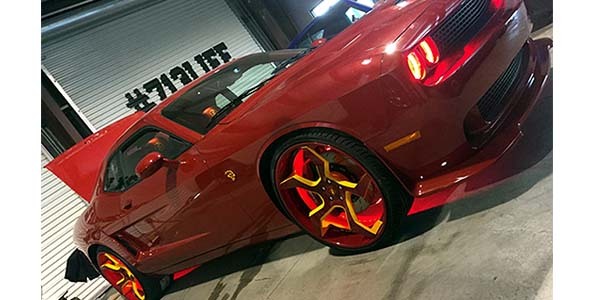 According to Ash, the shop’s owner, Dwight Howard often customizes his cars superhero-style and usually goes for the Superman theme, but in Houston he wants to be The Flash.